I had bronchial issues for most of my childhood, so I, too, was a Ventolin kid. That and the one with a propeller mechanism – you put in a capsule of some medicated powder, pulled the sleeve to crack the capsule and inhaled the powder. It was less fun than it sounds. I don't need an inhaler now, although there's generally one around the house, just in case. I love my ventolin. My asthma isn't severe enough for me to say it's kept me alive, but it has certainly helped make life much easier. I first had it in a capsule which I put in the back of an inhaler, twisted the inhaler which broke the capsule releasing a powder, then sucked the powder in. In China I could buy ventolin over the counter, even in pharmacies which kept it on a clearly labeled "prescription medicines" shelf, no questions asked. But I went without a preventer, which meant using more ventolin than is considered ideal. Not an excessive amount, but more than the twice a week the doctors say is "well-managed asthma". Oddly enough, the air pollution didn't bother me much. Back here I was prescribed the generic version, but that tastes foul. Since then I've specifically requested ventolin and sucked up the extra cost. A doctor told me the foul taste of the generic is from the alcohol added as a preservative. Whatever, don't want it. But, I'm back on a preventer, so don't use it anywhere near as much, mostly just the "ritual" puff before swimming. Here's an intriguing example of the ubiquity of the blue inhaler. Looks like a Ventolin-equivalent generic, right? It's actually the PuFFIT weed vapouriser, for people who might wish to get high in public with attracting undue attention. Available for $249 locally. I'm another Ventolin kid (I'm still a kid, I guess) and still have the Ventolin on hand even though I rarely need it these days. I went through the 'joy' of Intal capsules in the 'spinhaler'. I also enjoyed the palpitations and shakes from Boehringer Ingelheim's Berotec (Fenoterol) inhaler. 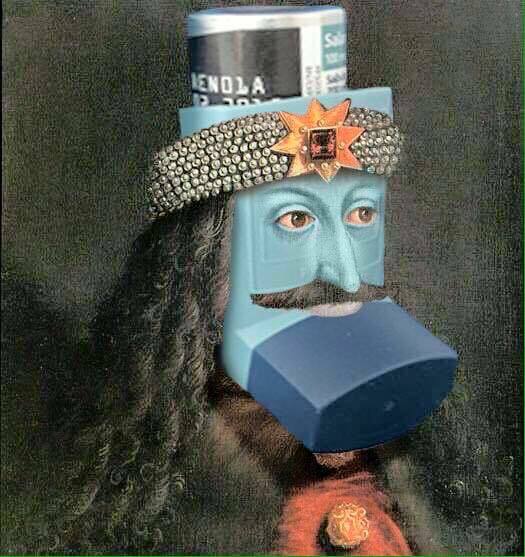 This reminds me of a friend who used to regularly puff through ventolin inhalers to get high on the salbutamol. Best not let Pharmac’s Pharmacology Therapeutics Advisory Committee know of this potential, they’ll probably try to have Ventolin banned…too. One of our wee foster children used to get asthma only when he had a cold. The first attack he had we went from the after hours clinic and a nebuliser, to a rushed run up to A&E in matter of fifteen minutes. The nebuliser made him worse. So it was prednisone and Ventolin through a spacer...and he used it like a trouper. Must have made him feel a whole lot better. He was only two. Poor wee lad...but it was amazing just how quickly he went from death's door to fine with the right meds delivered in the right way for him. The second script he got was the generic...and god's truth we never said a word about it being different. He went to stay with another foster family for a weekend...ended up back at A&E because the generic did not work. The other foster mum certainly knew what she was doing, so it wasn't wrong technique...the generic simply did not hit the sweet spot. The docs at A&E were not at all surprised. Asthma is a truly scary condition...I often wondered.....does fear of an attack sometimes exacerbate the condition? And a good thing you had ventolin and not fenoterol (http://www.ncbi.nlm.nih.gov/pubmed/2565417). If you ever get the chance to hear him tell it, Julian Crane’s tale of that study and the threats he received from the pharmaceutical industry over its findings is a good listen. ETA I see wasabicube did get fenoterol. Yikes. I remember the fenoterol era and people who died during it. Scary. Thanks for reminding me of the work of Julian Crane (I think I was a participant in some of his research) and the threats he endured. I can use that example for some research ethics work I am doing. Also a ventolin user from childhood and still have one near by but probably do use it maybe twice a week (if that) these days. Prior to 1969 I was given liquid ventolin which was poured into a glass tube with complicated looking finer glass tubes inside it. It was converted into a mist by gently squeezing a rubber bulb on the end. From memory it took about 5 minutes or more to get a full dose. My brother and I discovered the high effects of salbutamol in the early 70s. We used to sneak down to the parent's bedroom where the ventolin was kept and hit about 15 times each (if not more). We would have been between 7 and 10 I think. .I often wondered…..does fear of an attack sometimes exacerbate the condition? I could go whole days without needing a puff of Ventolin, but I’ve always (intended to) have an inhaler in my pocket or very close by on a continuous basis…. And on many occasions in the last 30+ years I’ve been dealing with this… Discovery that the inhaler had been forgotten was a near immediate trigger to a mild attack- usually within the next 5-10 minutes (when you’d gone half a day or more without the need to puff, but ignorant of it's lack of availability). I was diagnosed around age 7 or so in the mid ’70’s and had Ventolin blue Inhaler (releiver) and,"Intal” in the “Spinhaler” preventer, which is the one Russell described. (pierce the capsule, small propeller inside, no propellant). I got moved off the aerosol propellant Ventolin and changed to the “Diskhaler” described by Pete Sime sometime in the mid 80’s, but then after a few years back to the standard inhaler. Intal preventer got exchanged for Palmacourt in a “Turbuhaler” which is a metered dose dispenser, but human rather than aerosol powered. This was then given up for the Seretide about 5 or so years ago? Both the Intal and the Palmacourt which are taken on a regular schedule, rather than “as required” (like Ventolin reliever), had the undesirable effect of actually CAUSING a mild shortness of breath…. not quite an asthma attack, but worrying none the less seeing as that is exactly what they are supposed to reduce…. I believe it is this effect that actually lead to the idea of putting some reliever in with the preventer to be taken simultaneously, as per the new(-ish) Seretide and competitors? These seem to work FAR better than the older preventers. I wrote the basis of this post for a writing exercise a couple of years ago. It was about why I always keep an asthma inhaler nearby. I keep a Ventolin inhaler in the first aid kit. The only time I ever came close to need using it on myself is when I reacted to some epoxy reason I was working with. 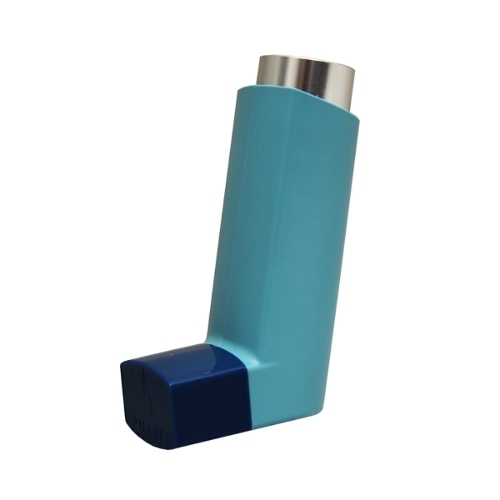 But I have used a Ventoline inhaler to help resuscitate somebody from the music industry, who had stoped breathing. PS: I think about these things becouse I do offshore sailing. As kids we used to be fascinated by our classmates' trick of breaking a capsule in an inhaler and taking a puff. I never got one of those but worked my way through a "regular" puffer, diskhaler and turbuhalers. Love it - wild applause!!! Also, a rarely performed NZ play that I regret not having seen back when I had the chance. Notable because, apart from a nice Barry Linton poster for it's initial, and probably only, season, it featured an entire cast of asthmatics. I too have inhaled a whole arsenal of asthma drugs: intal, berotec, beconase, becotide, flixonase, flixotide, ventolin, serotide, symbicort, salamol are the ones I remember. My earliest memories of asthma are being yelled at for being lazy in PE at primary school as an 8 year old when in fact I couldn't breathe. I had similar experiences on a number of occasions throughout my school years. Fortunately today's teachers are a) more aware of respiratory problems such as asthma, and b) are more compassionate in general. My experience with all these drugs is that they are quite effective for a few years, and then that effectiveness wanes - almost as if the body develops an immunity to the drugs. They also all cause oral thrush - so I spent most of my teenage years plagued by bad breath, until some kind soul suggested brushing my teeth and rinsing immediately after using my inhaler. I also remember being convinced of the psychological effect that either having or not having my inhaler would have. If I found myself doing sport without my inhaler I would invariably have an asthma attack. If I had my inhaler in my pocket I would be fine. And I have a compelling reason to blame the NZ climate and NZ's cold & damp houses for respiratory problems: for the 5 years I lived in tropical south east Asia my asthma symptoms magically disappeared - only to arrive again immediately after arriving back in NZ. I don't live in a cold, damp house anymore, but I pity those that do and are plagued by respiratory problems largely caused by this. As I have got older I have become less vulnerable to acute asthma attacks, but more vulnerable to chronic asthma related respiratory problems, and I have spent many winters afflicted by bronchitis, pneumonia or chest infections, and my daily asthma drug cocktail now consists of Symbicort, Flixonase & Lorafix. It's best not to wonder too much about any long term negative consequences of this intake of pharmaceuticals! And I guess I should be grateful that having Pharmac in NZ enables me to access my medication at low cost - really hope the TPPA doesn't alter that. Sorry - I unethically pinched it from the internet without attribution. I had serious asthma my whole life up until the age of 31 (I'm 50 now). I was on a series of preventative medication, including steroids, plus I also used Ventolin a lot to control my wheezing. I would go into hospital occasionally to go on oxygen when my Ventolin could no longer control my wheezing. My asthma used to really piss me off, so I tried all sorts of alternative remedies to improve my health, including herbal medicine, Chinese medicine, homeopathy, and acupuncture. Nothing made a difference. But then I read about the Buteyko breathing method in a book called "Every Breath You Take" by Paul J. Ameisen. Ignoring the "consult your doctor first" warnings, I started the breathing exercises described in the book, and overnight my asthma disappeared. I stopped all my medication too. The exercises required a stopwatch and took about half an hour, twice a day. After a couple of years, I stopped doing the exercises, and have never had any asthma since. In a nutshell, the Buteyko theory says that asthma is caused by an allergy to over-breathing - breathing too much air in and out. The symptom of wheezing is the body's reaction to try to slow the breathing down. The Buteyko breathing exercises retrain your respiratory system to breathe less, so your body doesn't need to react. Most people over-breathe, but only asthmatics have an allergy to it. So after a while I started to wonder why this Buteyko breathing method isn't officially and vigorously promoted as a viable therapy by the NZ Asthma Foundation. It was then that I realised why - when I was on asthma medication I worked out it was costing the taxpayer $3000 a year for just me (just look at the subsidy amount on your medication label) - and that was 20 years ago. Worldwide, the asthma industry is worth billions to pharmaceutical companies. So why would they ever want to promote a therapy that fixes the condition once and for all, when you can keep making money out of just treating the symptoms instead of the cause. And in case you didn't know, the NZ Asthma Foundation gets a lot of its money from those same pharmaceutical companies.